As astronomers we have a fantastic subject for sharing with a non-specialist audience. It is not only of wide-scale general appeal but there are regular discoveries which capture the public’s imagination. Over the last 20 years exoplanet research has delivered some of the most exciting and inspiring results. 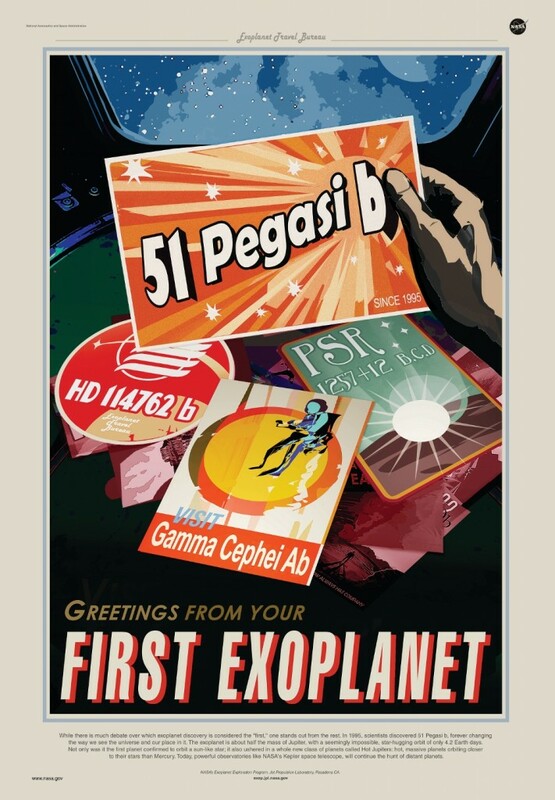 In 1995 the first exoplanet orbiting a Sun-like star was discovered, 51 Pegasi b. It was discovered just before I went to University to study a degree in Astrophysics, so I have a close attachment to it. It provided a fantastic starting point for me to talk about science in social settings (something which is often seen as anathema). My very first public talk was in 1996 about this new science of exoplanets. The first impression many of the public receive about a scientific discovery is through press coverage. This is a particularly important in keeping public interest about a long lasting or extended research project or even space mission. NASA’s Kepler was highly successful in attracting media attention as was prolific at finding exoplanets. Their policy of releasing information about planetary candidates before they had confirmed if there really was the signature of an exoplanet in the data, may have helped this. In any case, Kepler is by far the most successful mission at finding exoplanets, boasting over 1000 discoveries (at time of writing). Some of the most inspired exoplanet PR are the Exoplanet Tourist Bureau pictures produced by NASA’s Jet Propulsion Laboratory (which is on the verge of brand advertising). This was a very clever piece of art which not only made visually appealing pictures but ones which very simply captured a key piece of science that was known about each planet. Although not strictly related to any mission, the Exoplanet Tourist Bureau’s first 2 picture-postcards were of Kepler planets. Pitching your story to the press is tricky, as the discovery of the very first exoplanet shows. Many people think the first exoplanet was 51 Peg b but it was actually a planet orbiting around a neutron star (a dense, invisible object left over from the violent death of massive star and quite unlike our Sun), discovered in 1992. Perhaps this was too much uncertainty in the discovery, maybe the physics was not presented in a tangible way, or maybe even the name of the planet, PSR B1257+12 B, was just too obscure. For whatever reason this mysterious heavenly body is rarely attributed with the title of First Exoplanet Discovered. Recently the International Astronomical Union (which has, amongst other things, responsibility of the naming of heavenly bodies) launched a competition to give many exoplanets and exoplanetary systems new names – Name ExoWorlds. The public could make proposals for renaming of selected exoplanets. The results were announced in December 2015 and PSR B1257+12 B has been renamed Poltergeist – an invisible entity which creates physical disturbances (representing the effect the planet has on it’s host star). After attracting some attention from the public, what happens next? As a scientist who is passionate about education and engagement, I want that audience to take their new-found interest further. The rise of citizen science has lowered the barriers for involving anyone in scientific discovery. The approach usually requires participants to do a repetitive task which a computer finds difficult but the human brain finds easy. Crowd sourcing scientific measurement taking in this way has been pioneered by The Zooniverse, who have a project where participants are invited to search through Kepler data which had been rejected by the automatic NASA planet finding software. During the BBC Stargazing Live TV programmes in January of 2012, the value of this method was spectacularly proved. Zooniverse partnered with BBC to launch a public campaign which resulted in over a million independent measurements and the discovery of an exoplanet – PH1b or its formal, canonical name – Kepler-64b. Personally, I define “citizen science” slightly differently as “a large scale remotely accessible science investigation performed by non-specialists, which trains them in data analysis and also the subject area”. My definition gives citizen science more of an educational angle. This was the thinking behind a citizen science project I made, along with my then colleague at LCOGT, Stuart Lowe, called Agent Exoplanet. The primary aims of Agent Exoplanet are to analyse real scientific data taken with the LCOGT network, combine your measurements with other citizen scientists, display this result and understand the science it is showing. We wanted to provide a self-contained, easily accessible platform, to maximise participation by a non-specialist audience. All of the analysis tools are built into it, from graphing data points, model fitting and make the measurements directly on the astronomical data files. While the participants will not discover new exoplanets with Agent Exoplanet, they will have a better understanding of the scientific process and about exoplanet research. You can try it yourself too! An important component of an sharing any scientific discovery is to make the information easily understandable. One of the most powerful ways to do that is with well thought out graphics. 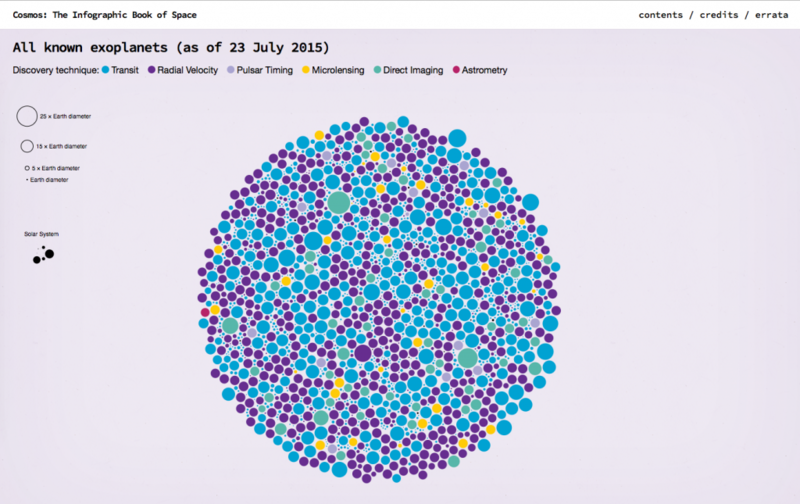 An eye-catching and interactive visualisation of the sizes and detection methods of all known exoplanets was made by Stuart Lowe and Chris North for Cosmos: the infographic book of space. 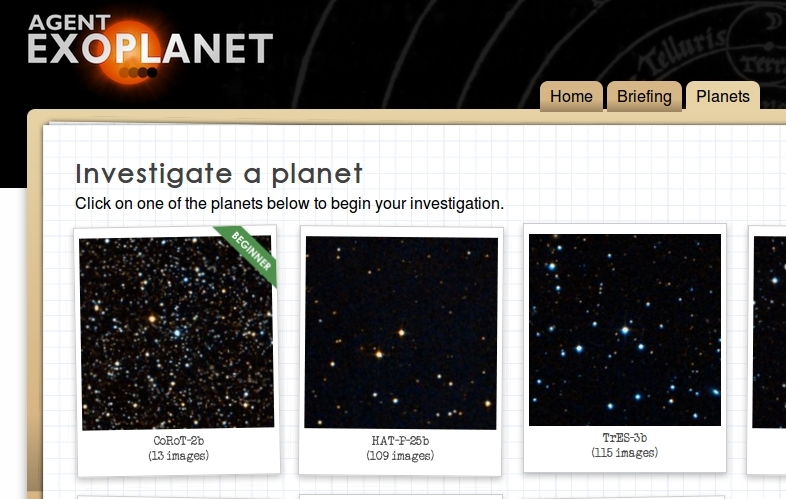 The different detection methods are colour coded and the you can explore some basic properties of each exoplanet by clicking on them. One of the most beautiful and poetic visualisations of exoplanets I have seen was made by Alex Parker. It shows what all the currently known exoplanets would look like (nearly 2300 – many of these were just candidates when Alex made the video) orbiting around the same star, in this case the Sun. All the planets and orbits are scaled so their relative sizes and distances are appropriate for this model. They range in size from 1/3 to 83 times the radius of Earth. It is quite mesmerising. In a week where astronomy has been in the news so much, with the momentous discovery of gravitational waves, it has shown to me that there is a huge public appetite for accessible science stories. Fortunately, for the last 20 years, exoplanets have provided a steady and varied diet of exciting discoveries, from Earth 2.0, to a diamond planet to the discovery of Tatooine. For a long time to come, I believed we will be surprised by the continued variety of exoplanets and strange solar systems the Universe provides us to study. 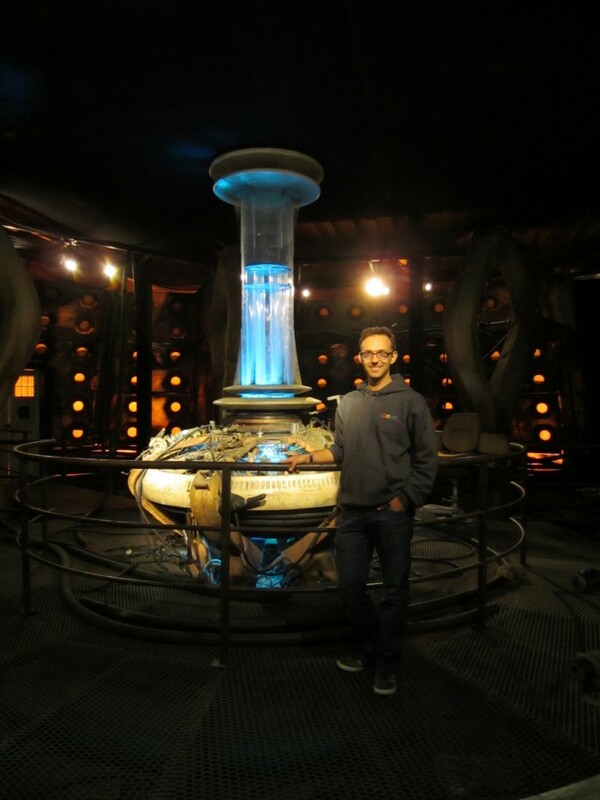 Eduard Gomez inside the TARDIS. It is a device from the BBC’s ‘Dr. Who’ TV show which is both a time-machine and a starship; but it looks like a classic British telephone booth from the outside. About the author. Edward Gomez is a professional astronomer and Education Director of LCOGT.net and honourary lecturer/adjunct faculty in the School of Physics and Astronomy. As part of his role with LCOGT he investigates novel ways to engage the public in astronomy. This has taken the form of creating citizen science projects like Agent Exoplanet, interactive educational web apps like Star in a Box, and online community events like Show Me Stars. The global education hub for LCOGT is based in Cardiff University In addition, he is part of the Schools Engagement Team and assist with the outreach of the Universit, which is funded by the Welsh Government‘s National Science Academy to run the programme Universe in the Classroom, inspiring children and teachers with Universe in a Box kits and stellar role models, across Wales. Universe in the Classrom is run in partnership with the international project Universe Awareness. Eduard is co-chair the IAU task force for children and schools, under the guidance of the Office of Astronomy for Development (OAD). Our aim is to help people in astronomically developing countries to engage with and inspire children and teachers. He also regularly appears on the BBC radio wales programmes, Science Cafe and Eleri Sion Show. 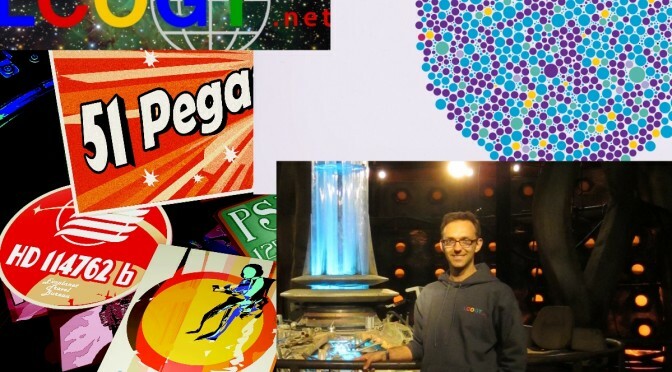 He have served as guest judge for the national Debating Matters competition Currently he is working at how we make the LCOGT network accessible to the general public and what tools we need to make the most of its potential, and using the power of astronomical images to inspire people who would not normally be interested in science. He loves music and plays the lute.